Gingerbread men are beloved characters and Christmas decorations. You can make your own in a plastic canvas project that can be used in many decorations. 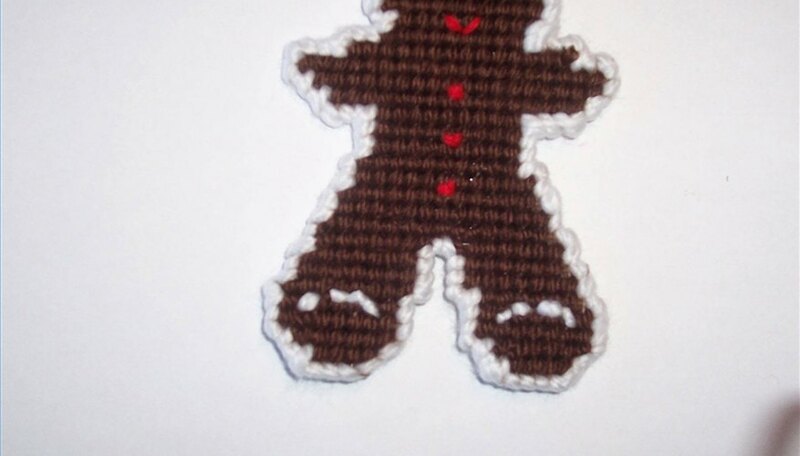 A gingerbread man is also a project that a new plastic canvas needlepoint crafter can do. You will be able to have this project for a child who is learning the art of plastic canvas work. One sheet of canvas will be plenty for you to make several gingerbread characters for your holiday decorating. Find a gingerbread pattern, cookie cutter or coloring page that you can trace on paper or light cardboard. Cut out pattern. A 5-inch tall character will work well. Trace the pattern onto a plastic canvas. 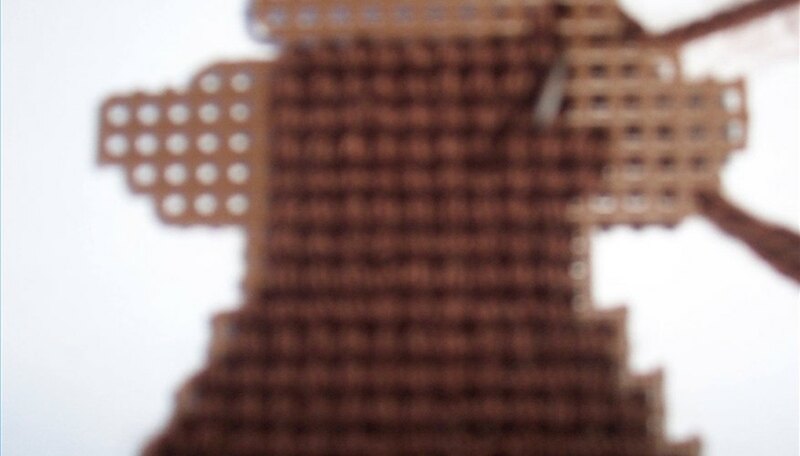 Cut out the plastic canvas gingerbread man. Be sure to trim any excess away. 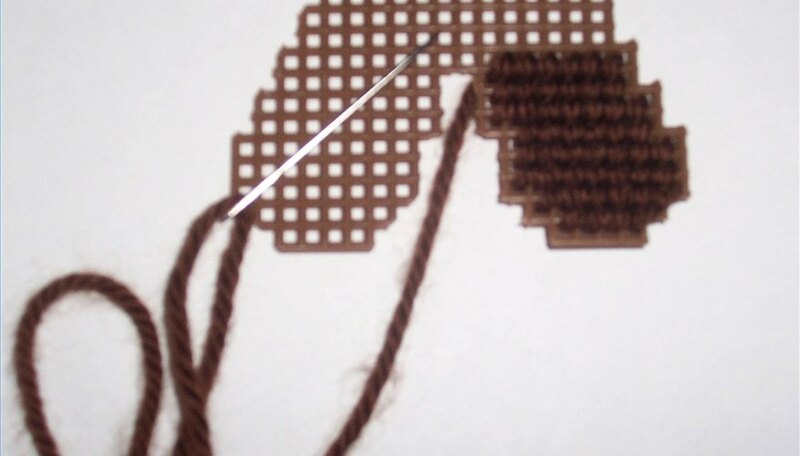 Thread needle with brown yarn. Fill the entire piece in with the continental stitch. Start with one leg, then stitch the second leg and move up the trunk of the body. 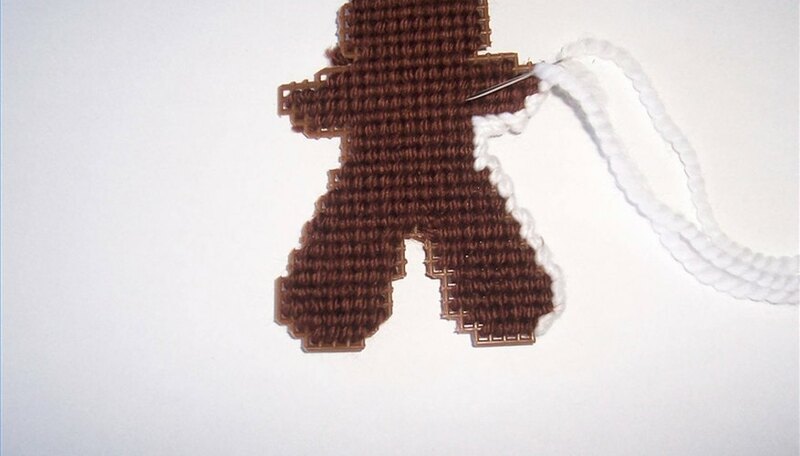 Take white yarn and finish off the gingerbread man plastic canvas piece with the overcast stitch. Embroider the eyes, nose, mouth and trim with red, black and white yarn. You can choose to sew a tiny heart or round buttons for added embellishment. Attach a magnet or make a hanger for the ornament from cording. Gingerbread men can be sewn to other projects such as wall hangings, garland, tissue box covers or gift package trims.